As Robert Moss says, when it comes to finding meaning for the dream symbols, the answer always goes back to the dreamer. There are certain collective unconscious commonalities of symbols, but they all may change depending of the dreamer and its relationship with any given image. Let us take a snake as an example. Freud would say that the snake is a phallic symbol, and Jung would relate it to the archetypal snake from the biblical story of Adam and Eve. The dreamer, however, may have a totally different reading of this personal symbol when it becomes part of a dream. 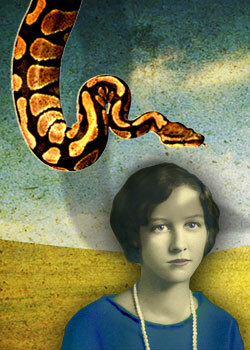 The dreamer may have had a pet snake growing up, and may feel very lovingly towards snakes. The symbolism would be completely different from a person who has been bitten by a snake, or who is afraid of snakes. The relationship with the images is the first clue as what the dream may be about. The imagery may be weird or disturbing to us, but the dreamer may have felt curious, or calmed, or surprised. So the next question may be “what do you know about snakes, what is your relationship with snakes?” The dreamer will then make connections between the dream symbols and waking life. 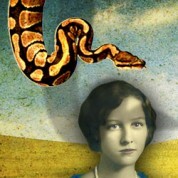 The dream may be about “missing an old friend”, symbolized by the childhood pet snake, and the dreamer may feel lonely and wanting to connect with an old circle of friends. Or maybe the dreamer felt afraid and threatened by the snake, in which case we could ask the dreamer if she feels threatened by something in her waking life; maybe a situation at work, or a particular co-worker. And so it goes. I love working with dreams and I am quite proficient at it, I know the right questions to ask and I can get clues that would lead me to ask more specific questions. when the dreamer makes some connections about the dream that resonate with her, there is always an “aha!” moment, a small epiphany. In the next post I will write about how I work with dreams this way, putting one specific dream I had as an example.